If you’ve been keeping up-to-date with the news lately, you may have seen some concerning coverage surrounding Facebook and data analysts Cambridge Analytica. If the media reports have driven you to the point of considering whether or not you want to delete your Facebook account, then how exactly can you go through with it? Well, the process isn’t as easy as it might seem. 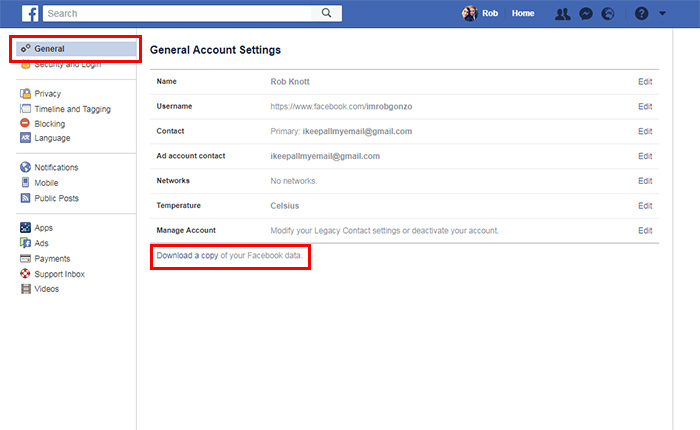 Facebook make a differentiation between deactivating an account and outright deleting an account, meaning that to go through with the latter, there are a number of extra hoops involved. Nevertheless, we’ve put together a short step-by-step process on how to manage your social media profile on the biggest of all networks. If you want to go through with deactivating your Facebook account, then it’s a relatively simpler task when compared to a permanent deletion - which is what Facebook would ideally like to avoid. 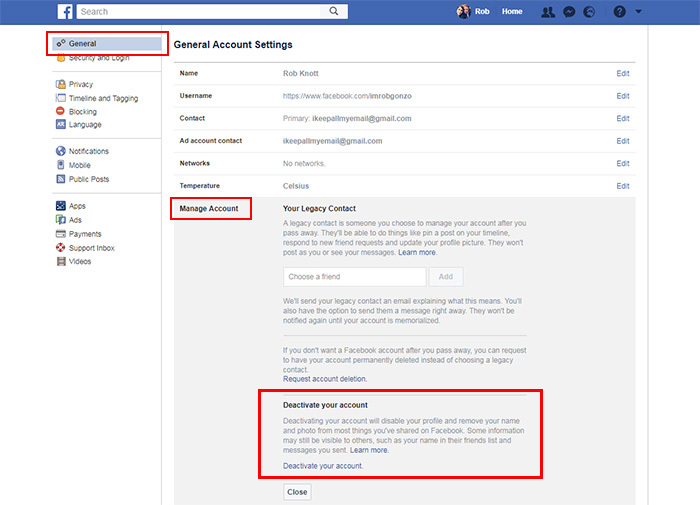 After logging in and going straight to your Facebook home page, go into your settings and under the ‘General’ tab, you’ll see the words ‘Manage Account’ and an ‘Edit’ button that appears on the right-hand side of it. Click ‘Edit’ and you’ll be taken to a menu that shows you the option that allows you to deactivate your account. 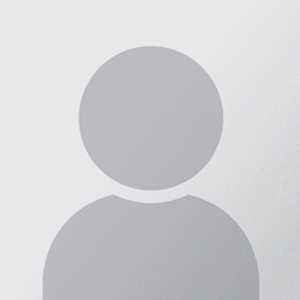 Clicking that, will allow you to essentially scrub yourself from the social network on the surface, but not entirely. Your account, likes, photos and videos will remain in the background and at a moment’s notice you’ll be allowed to log in, reactivate and get back to reminiscing on those 24 likes you received when you went to a Halloween party dressed as a minion from Despicable Me. Deactivating your Facebook account is essentially going invisible, not being erased. Actually deleting your Facebook profile permanently requires more effort than you’d probably expect, however. We can make it easy for you though. If you were to spend your time trawling through settings and options, it’s not immediately apparent that there’s a way to bin your Facebook history in its entirety. However, the option to permanently erase yourself from the social network is actually located within Facebook’s Help Centre and not amongst your normal settings. 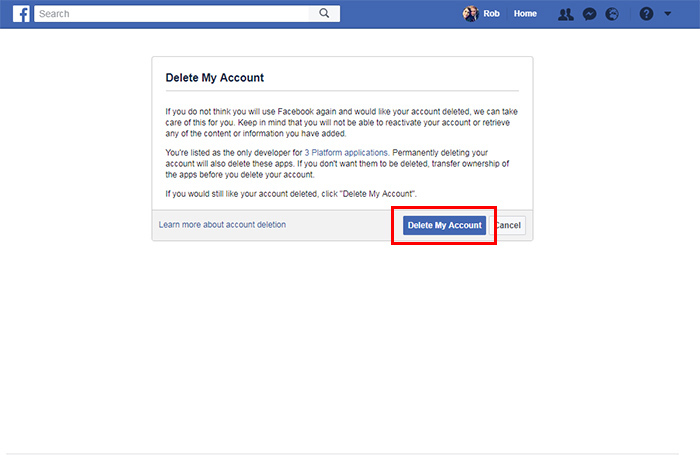 Unlike deactivating your Facebook account, deletion is permanent and while you will have a few days to log in and cancel your request, after this period, there’s no going back. Make sure you’re absolutely certain with your decision if you want to go down this route. 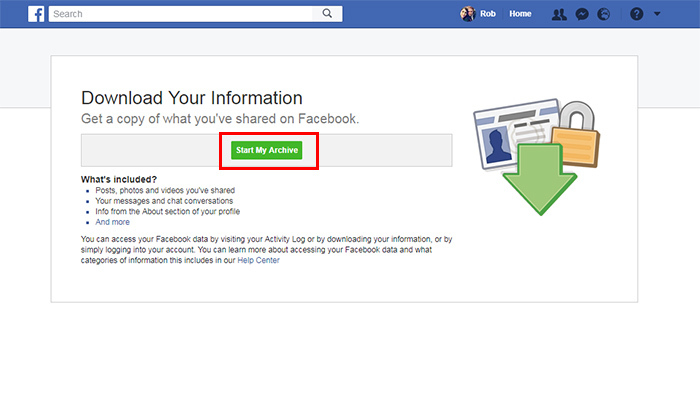 Before you delete your account, you may want to get a copy of all the information contained on your Facebook profile. To do this, once in the ‘General’ tab in settings, you’ll see at the very bottom of the page a link that will say ‘Download a copy of your Facebook data’ - click that and you’ll be taken to a page where you can download a document which details all of your Facebook history. Click ‘Start My Archive’ to initiate the download. While this should, in theory, completely rid you and your information from the clutches of Facebook, the social media giant does advise that some information may stay on their services for “technical reasons” although it will be inaccessible. Should you get rid of your social media account? It’s a question that many people ask themselves every day. We live in a world of almost limitless data that’s constantly being added to. Whether it’s pictures of our pets, videos of our children, PDFs of our work schedule, or even likes from our Gran; the personal relationships and connections that we make via social media is leaving a digital footprint of our lives. While the initial intentions from networks like Facebook and Twitter were honest, we must continue to be vigilant in what we choose to share on the internet. Whether you decide to delete your social media account and keep total control over your information rather than risk it falling into the hands of suspect data collection companies is up to you. The minute you start thinking about what you’re putting on the internet for the world to see is the moment that you start thinking about the digital footprint that you’re creating and start to control it, rather than letting it control you. For a lot of people, deleting a social media account is hard to do, especially if it means losing easily accessible contact with relatives. With a few tweaks here and there in how you use social media, perhaps you can start to use it without fear of leaving private information behind for others to take advantage of. So, if you’ve made it this far then you probably know that Social Media is an important tool for businesses to connect with their customers. What you may not know is which Social Media platforms you should actually be using for your business, so let’s talk about that. If you're uncomfortable with the amount of information the tech giant has on you, here's how to digitally separate yourself from the Google machine.